Michigan has been working steadily to establish itself as a leader in emerging transportation technology. And this week, Gov. Rick Snyder, along with business, government, and academia leaders from throughout Michigan, celebrated a new partnership with Microsoft with the grand opening of the American Center for Mobility. Microsoft is the exclusive data and cloud provider for the mobility center at the historic Willow Run bomber plant site in Ypsilanti Township. John Maddox, ACM president and CEO, announced that Microsoft will provide the Center with cloud resources and data infrastructure to advance the testing and development of connected and automated vehicles (CAV) as well as mobility technologies. 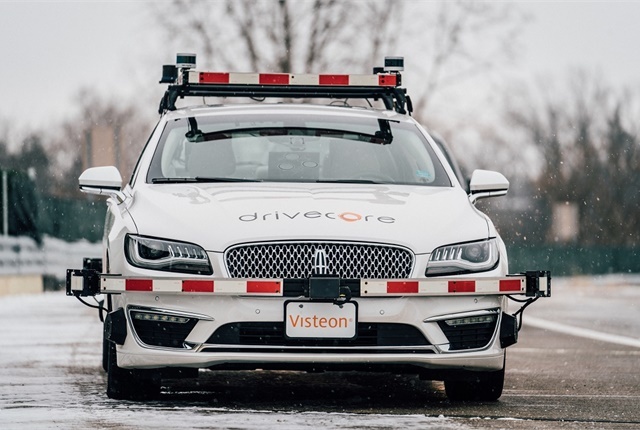 "We are excited to collaborate with Microsoft in our efforts to lead the world in the safe development of CAV technologies and to enable the safe deployment of these vehicles onto the nation's roads," Maddox said. "By adding big data to our diverse and growing group of stakeholders and world-class partners, ACM is staking its claim as the preeminent global hub for mobility companies to develop and test their connected technologies and vehicles in a safe and controlled environment," he added. Gov. Snyder said the Center's grand opening combined with the announcement that Microsoft is the exclusive data and cloud provider, represents a pinnacle moment for the state in the mobility revolution. "Intelligent vehicle technology is evolving rapidly and Michigan is the world leader in making sure the mobility technologies driving the future are safely developed, tested and eventually deployed," Snyder said. "This important partnership with Microsoft will provide the American Center for Mobility with the proper digital capabilities to help translate testing data into technology innovations that will make transportation safer for all and fuel further economic growth across the state." ACM will collaborate with Microsoft to design a cloud-based Data Management & Analytics Platform solution to collect, store and analyze data from tests conducted at the Center. The solution will be based on the trusted Microsoft Azure cloud platform, which offers extensive capabilities for quickly developing and deploying new use cases. Using Azure and the DMAP solution will enable ACM and its partners to accelerate the development of CAV technologies, apps, and industry standards, to create a safe environment for testing, validating, and enabling collaboration across all members. "Vehicles are quickly becoming data centers on wheels, and the opportunity to use the vast amounts of information generated to fuel innovation is unprecedented," said Kevin Dallas, corporate vice president, artificial intelligence & intelligent cloud business development, Microsoft. "We're proud ACM has selected Microsoft Azure as its exclusive cloud provider for its intelligent capabilities and the enterprise-grade security and compliance required to develop comprehensive solutions that help drive the future of mobility." Microsoft joins a long list of companies supporting ACM, including its founders AT&T, Visteon Corporation, Toyota, Ford and Hyundai America Technical Center Inc., and sponsors Subaru of America, Inc., and Adient. In addition to serving as the Center's exclusive data and cloud provider, Microsoft will also hold a position on ACM's Industry Advisory Board. Located on 500 acres that once was the site of Ford Motor Co.'s fabled Willow Run Bomber Plant, the American Center for Mobility opened its doors for testing in December. One of 10 federally designated proving grounds for developing and testing self-driving vehicles, the Center provides a myriad of real-world environments with the ability to test under a range of driving environments and infrastructure that includes a 2.5-mile highway loop, a 700-foot curved tunnel, two double overpasses, intersections, and roundabouts. Gov. Snyder’s announcement and the grand opening celebration coincides with the start of ACM's next phase of construction, which will add an urban intersection by this summer, followed by a series of building facades and additional urbanized infrastructure expected by the end of the year. The expansion project also includes a headquarters and lab with demonstration space. The Center is a joint initiative with the State of Michigan via a partnership with the Michigan Department of Transportation (MDOT), the Michigan Economic Development Corporation (MEDC), the University of Michigan, Business Leaders for Michigan, Ann Arbor SPARK and Ypsilanti Township.